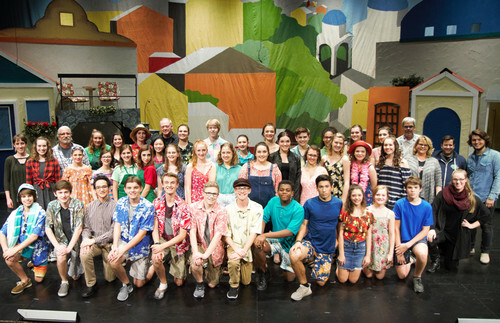 The AHS musical is performed in the fall, with auditions usually held shortly after the start of school in early September. There are great opportunities for students to get involved in the musical productions each year as a cast member, stage or tech crew member, scenery, publicity, costumes, etc. For the 2018-2019 school year, the Performing Arts program of Ashwaubenon High School presented the Broadway hit musical - MAMMA MIA! AHS Performing Arts 2018 Musical: MAMMA MIA!